Who doesn't love walking up to someone's door and seeing it all decked out for a holiday. With the help of Oriental Trading, I was able to create this festive Patriotic Porch Decor. 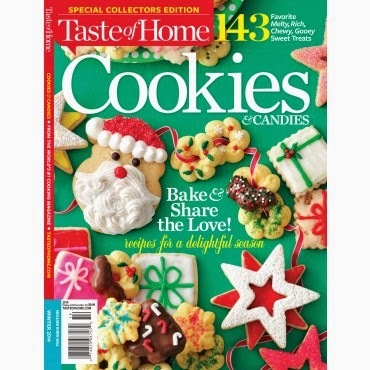 Their products are great quality and always make my projects easy to put together. 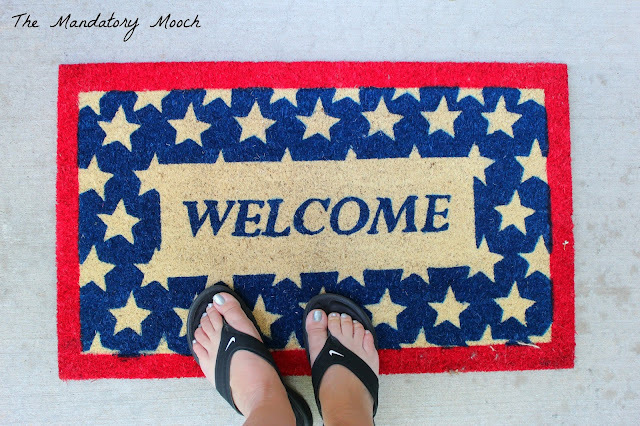 This Patiotric Welcome Mat added some nice color to welcome my guests. 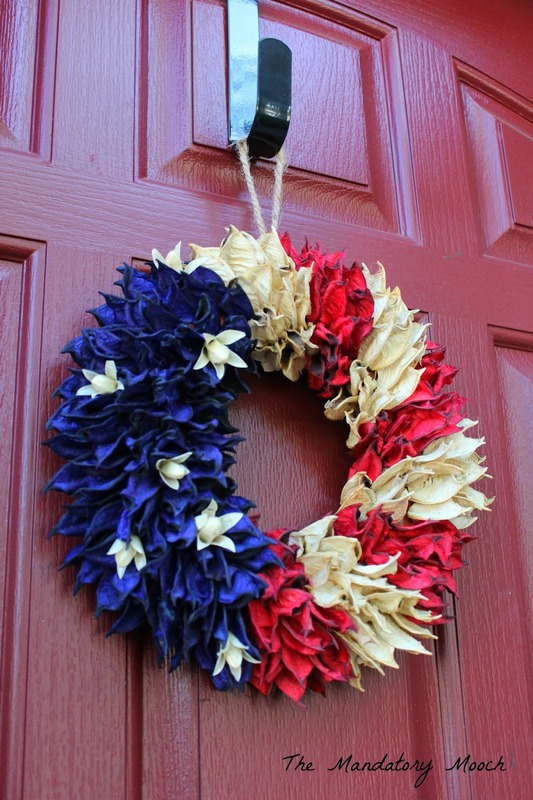 This American Flag Floral Wreath is the perfect decor to celebrate the 4th. 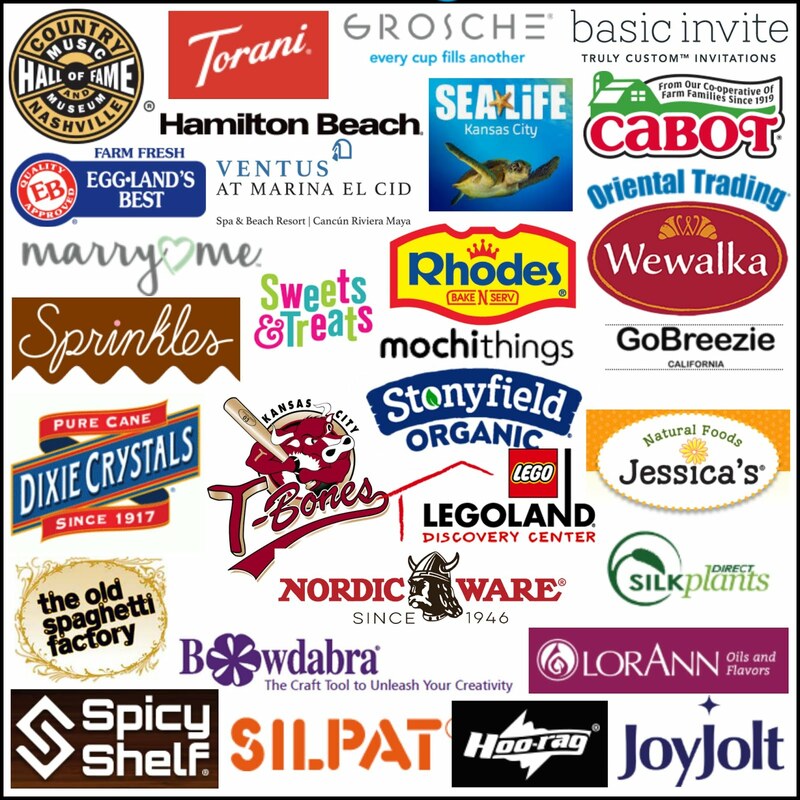 If you are looking for more great 4th of July supplies go to Oriental Trading. 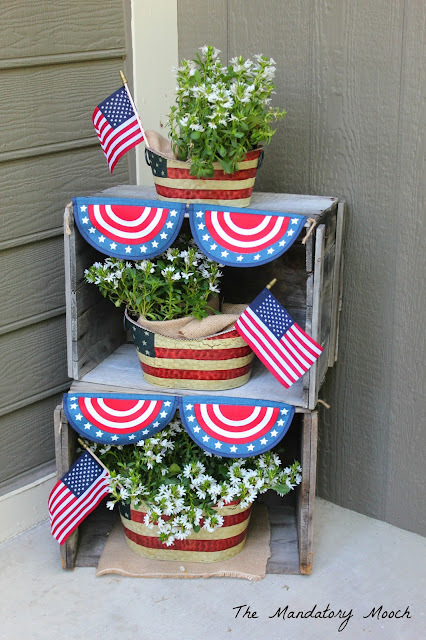 I love your patriotic porch decor, especially using the crates for display. Very attractive! Hi Nichi, glad to meet you, thanks for joining the #OMHGWW his week to share your fun ideas. I love the wreath, very patriotic!!! 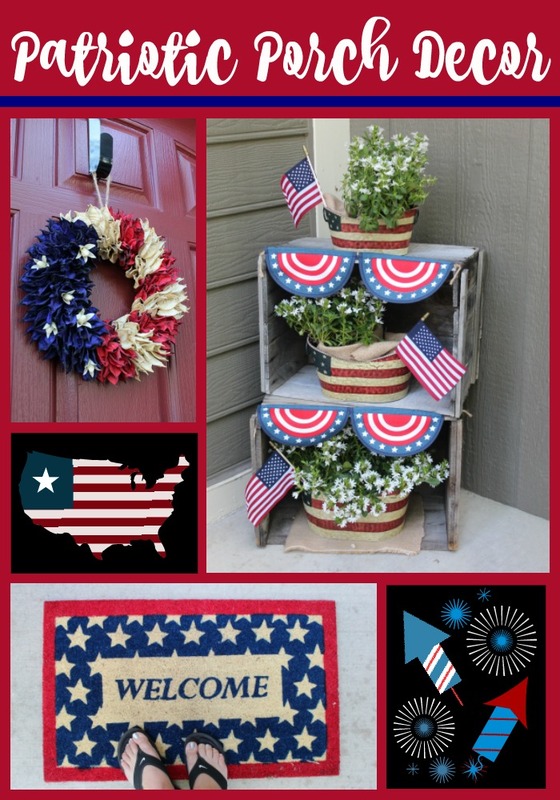 Your porch is already for the 4th of July!! Pinned!! Hello Nichi, these are such fun ideas for the 4th. A pleasure to meet you. I am featuring your Patriotic decor at this Sunday's Dishing It & Digging It link party. 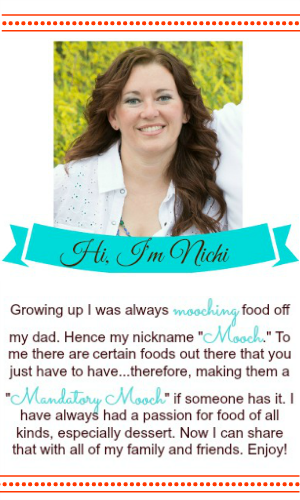 Hey Nichi! I love all the pretty patriotic decor ideas you share. Perfect to make the home feel a little more festive :) Thank you so much for sharing with us at Dishing It & Digging It & congratulations on being featured this week! So pretty. Love the patriotic porch decor. Thanks for sharing at the #InspirationSpotlight party @DearCreatives Pinned & sharing. Have a happy 4th of July.